It’s up by the Van Wyck Expressway! I believe this will be Queens’ Largest Christmas Celebration! The Route: 131 street to 143rd on Rockaway Blvd! This parade is going to be spectacular, FREE and a must see for you and the whole family! Come get a good spot and stay for the tree lighting finale🎄Spread the word and save the date! DECEMBER 3rd www.HopeNYC.com or Like the church on Facebook for more info! Sitting at here at Compass looking to see what’s new! 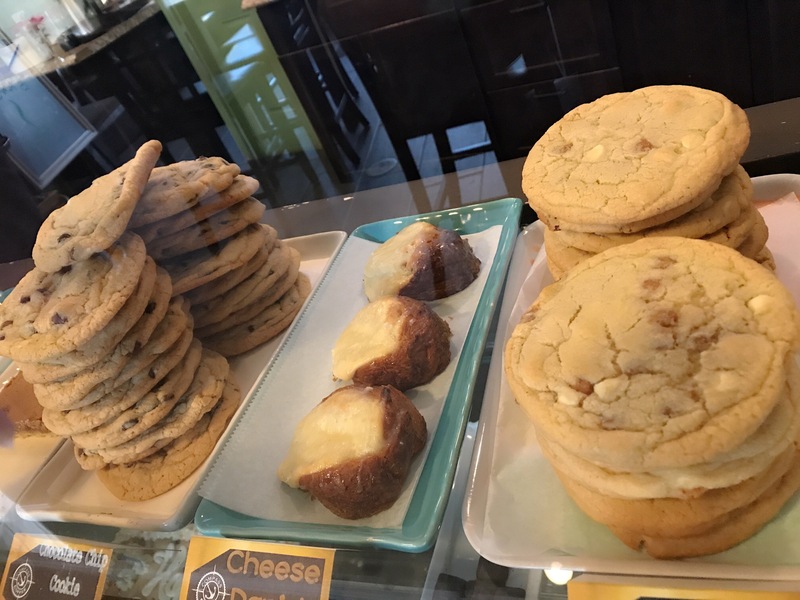 I saw fresh baked Cheese Danishes by Jodi Bakes and the first ever COOKIE CAKE 🍪 at Compass. I also tried the new creation! Creme Brûlée Cheesecake! A very pretty and petite cheesecake with a torched golden surface topped with cream and a fresh raspberry. All sitting on top of a tasty crispy brown crust. The creamy, fruity, crust flavors made such a complete and outstanding combo. It was so delicious and made a memorable impression on my taste buds. It made people want more. It was nothing ordinary. In fact, it didn’t taste like anything in New York but all the way in Europe as if I were sitting at a Paris Café. 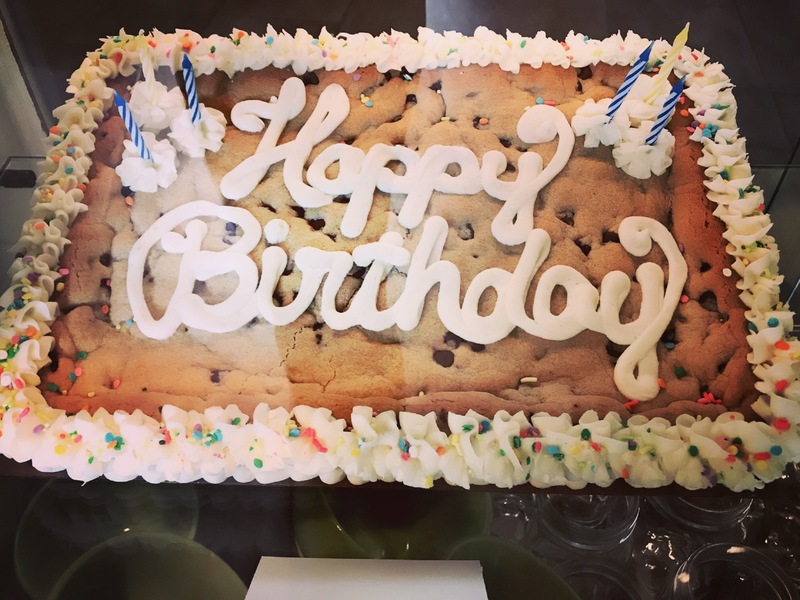 Brand New Cookie Cake at Compass 🍪 For Birthdays and Special Occasions 🎈Made by Jodi Bakes! Breakthrough. What a good and needed word to hear right now. I actually witnessed a breakthrough at last night’s Hope day service at HopeNYC. God spoke about breakthrough and before the night was up, the congregation got healed! He wanted to minister to everyone. From the person who had cancer cells down to the person who caught the common cold. Some got healed instantly and some progressively. I can testify that I’ve been getting better by the hour! Jesus is a healer and it is His will that YOUR LIFE is healed! Breakthrough is the truly word right now and I encourage you to visit HopeNYC to see what God is doing here. Sunday Service: 10:30am REVIVAL THIS SUNDAY MAY 21st! Compass Cafe is opened an hour before service and a little bit after so be sure to sip or snack on something good! All proceeds goes towards helping victims of human trafficking and providing clean drinking water for people in other countries. BRAND NEW! Milkshakes & Sundaes are here just before summer! 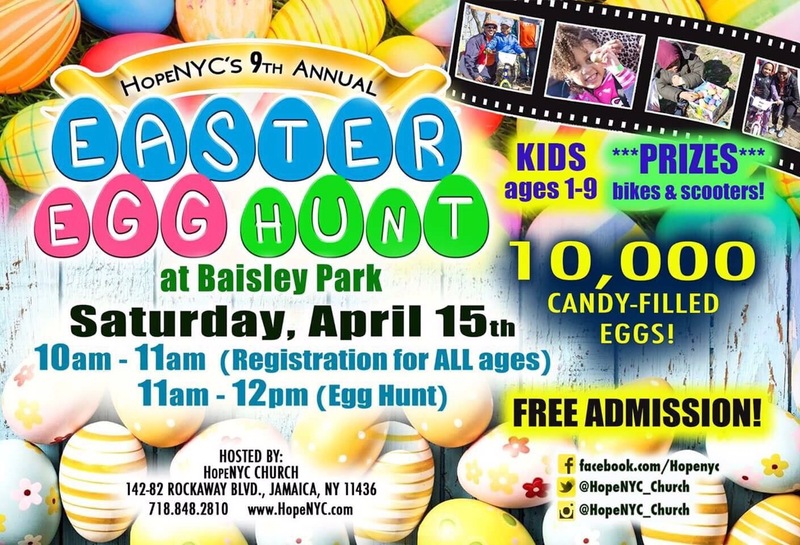 We are less than 2 days away from HopeNYC’s 9th annual Easter egg hunt! FREE ADMISSION and there will be 10,000 candy filled eggs out in the field! It’s going to be wonderful time at Baisely Pond Park in Queens this Saturday April 15th! Register your children at 10am before the hunt & get their Easter baskets ready! Good Friday Service Tommorow- At HopeNYC 6pm! Life changing message, remembering The Lord and washing of the saints feet! Awesome time for a pedicure! 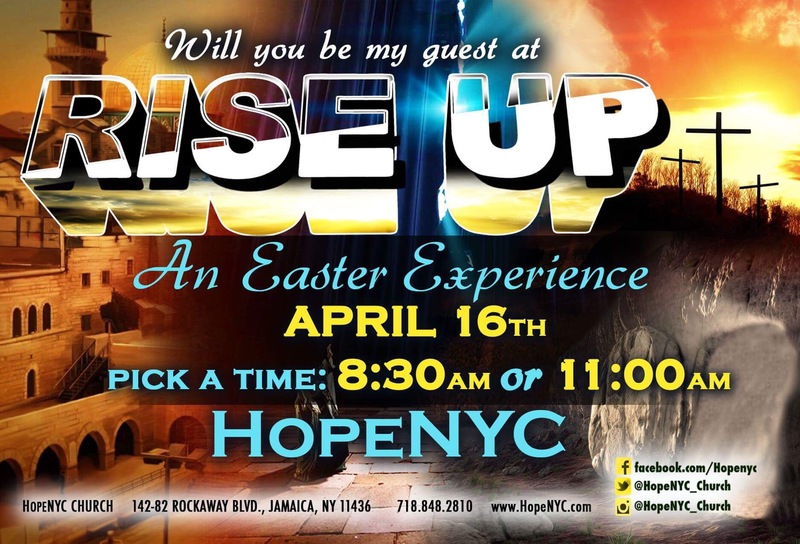 Rise up Easter Service – Exciting live Broadway like production with sermons, singing and dancing!FREE & FREE gifts for first time guest! It’s HopeNYC! You can pick the 8:30am or the 11:00am service! Your choice! Whats your favorite chowder? I discovered mine today! I’m estatic about this fall season. 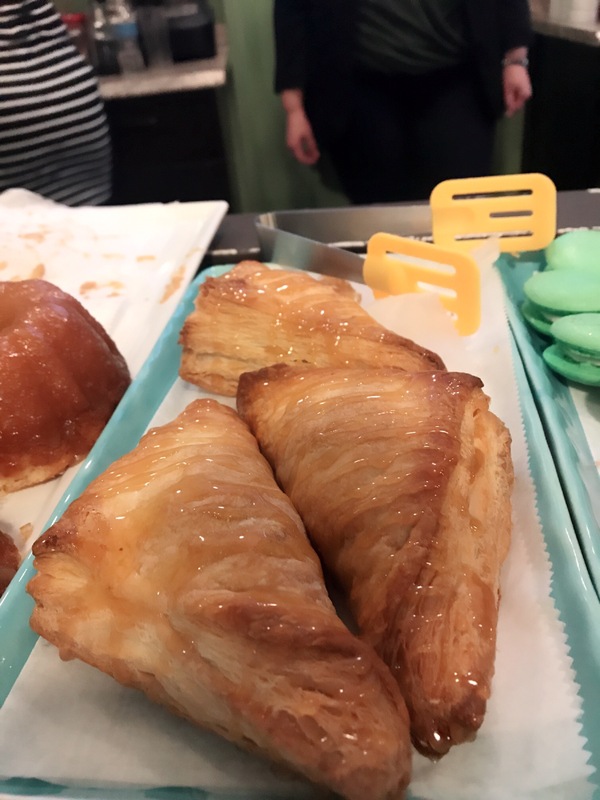 The breeze, silent streets, pumpkin spice, and the new warm soups and chowders at Compass cafe! Jodi Bakes has made phenomenal desserts but her soups has already made a huge impression! Many of the Compass customers, baristas, HopeNYC attendees including myself all enjoy the soups and have only good things to say. Not only are we satisfied, we are eager to know what tomorrow’s soup of the day will be. Today’s was ham and potato chowder. It was so good that I ran away refusing to give a gulp of this chowder to my husband that kindly asked to try it. It was a beautiful thick white creamy chowder with vibrant specks of color from the minced vegetables inside. There were also generous chunks of potato and ham. It was a nice heavy filling satisfying soup. The taste was incredible and packed with flavor. I say come to Compass Cafe for their delicious well-known coffee but grabbing a soup this fall is a must! If you choose to stay, they will serve it you in an adorable burgandy soup crock with a handle. Like Sips of Hope on Facebook! There’s a first time for everything and this was the first time I tried The Waffle at Compass Cafe’. It’s also the first time the cafe served actually waffles so I was excited to try it! I got mine and indeed felt special! That plated waffle looked like the spectacular delectable divine dish someone gets on their birthday at a good restaurant. I can see all the effort put into prepping, making and topping my waffle beautifully. The nutella spread, sliced strawberries, and whipped cream. I looked at my husband’s order and saw that his waffle was topped with a large scoop of vanilla ice cream with caramel and mocha. 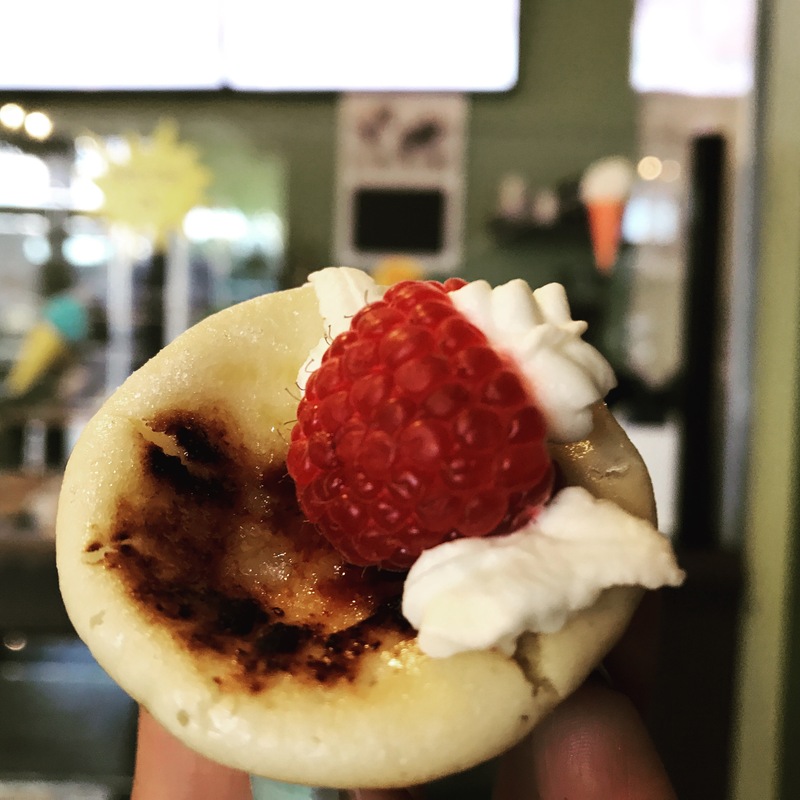 A customer had one topped with bananas, strawberries, blueberries with whipped cram. As I looked at my friend Fanny, she ordered the waffle just plain. She still stated that it was delicious! The waffle itself is a Jodi Bakes creation. Her very own special recipe for the perfect waffle batter! I personally don’t like going into cafe or restaurant getting the impression that an item on their menu was specially made by them when it’s really made by something I can eat at home or find in a corner store. Putting aside the Nutella and fruit toppings, my waffle was jumbo, golden, crispy on the surface, fluffy on the inside and fresh tasting. There was no way I can finish this myself but I did enjoyed the problem. The portion was generous! We already know how yummy Nutella can be so you can imagine it made the waffle even better by adding a great chocolate flavor! Sweet creamy toppings on a delectable savory waffle! Savor it while you can! This is waffle month at Compass Cafe’! Here are some actual pics of the waffles served here! 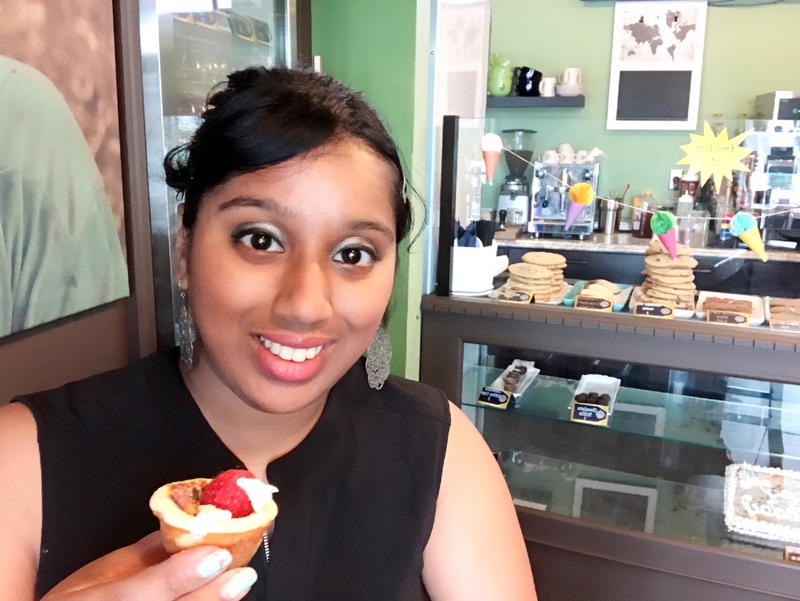 Check out my short blog at the actual cafe trying the actual waffle and a few other opinions! Even hear a little from Jodi bakes herself! There are 5 different toppings to choose from including ice cream, fresh fruits and nuts! I chose nutella! You’ve probably had a jaw breaker but ever tried a home wrecker? It’s a crumbly, delicious satisyingly sweet pie with peaches! 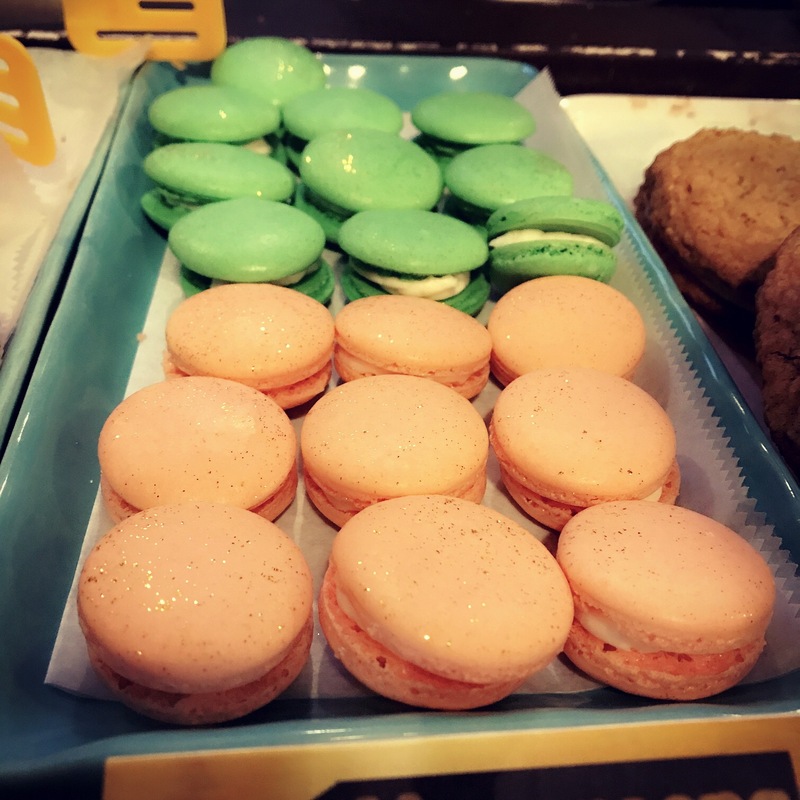 It is perfectly prepared & carefully crafted by Jodi Bakes. I asked for mine warmed up & served with whipped cream. As you would imagine, I loved it, enjoyed it, thought about having another slice by my last bite but lets see the reaction of someone important. Pastor Sharo, Senior Pastor of HopeNYC!